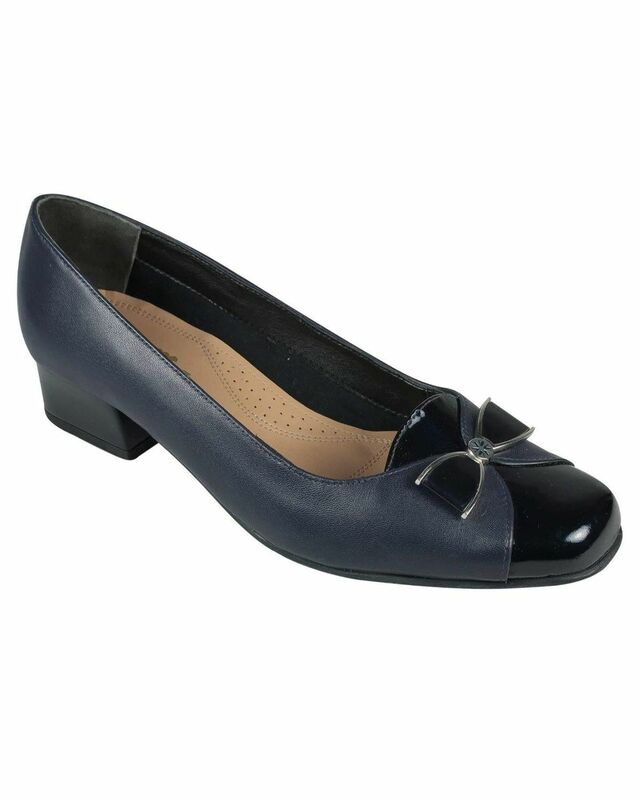 Ladies Elvira Shoe by Van Dal. Rubber sole for added grip. 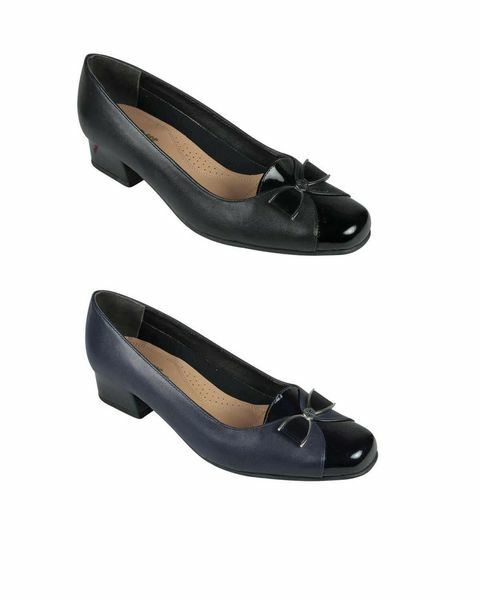 Ladies classic leather slip on style shoe with contrasting patent toe. 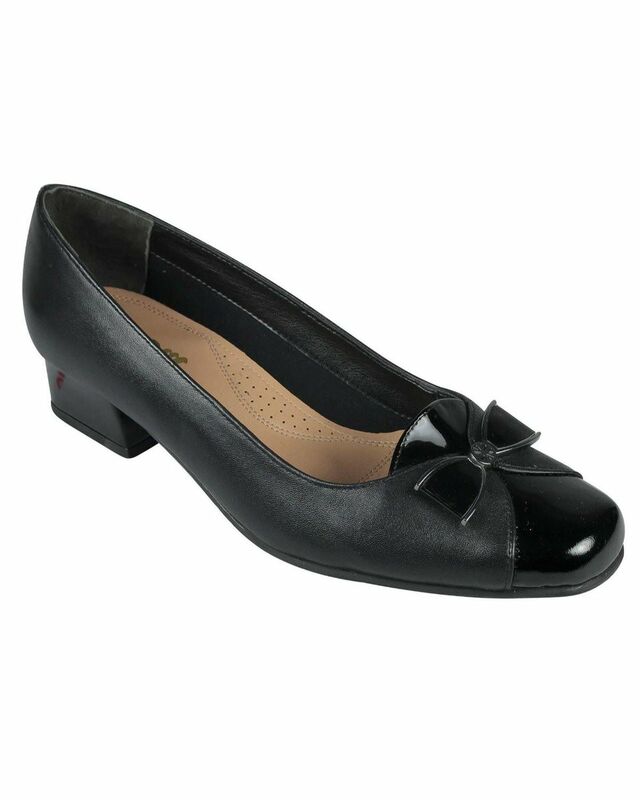 Elegant bow detail to front with 1½ ” heel. Rubber sole for added grip.